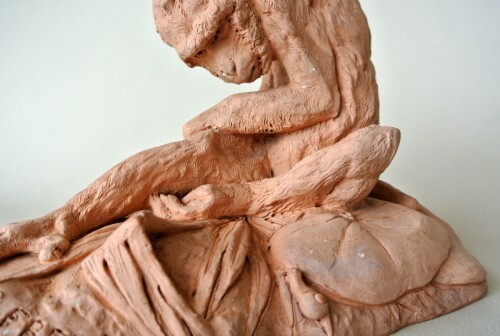 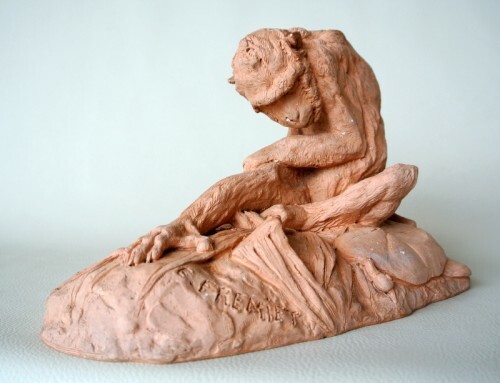 Terracotta representing a seated monkey intrigued by a snail. 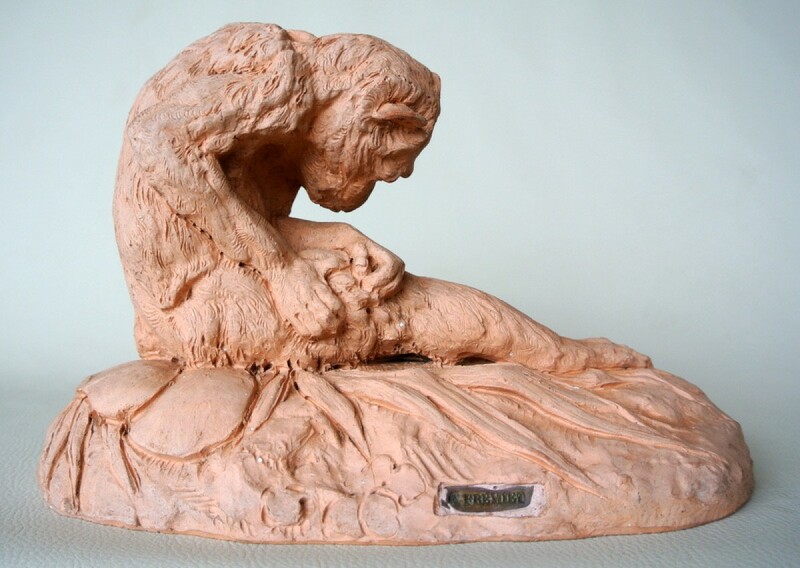 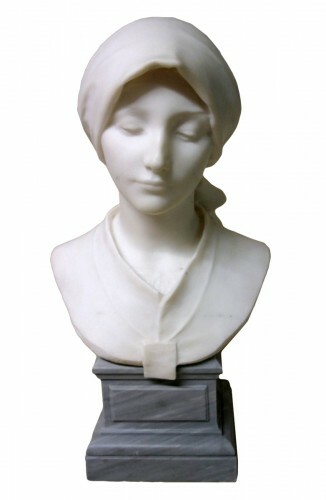 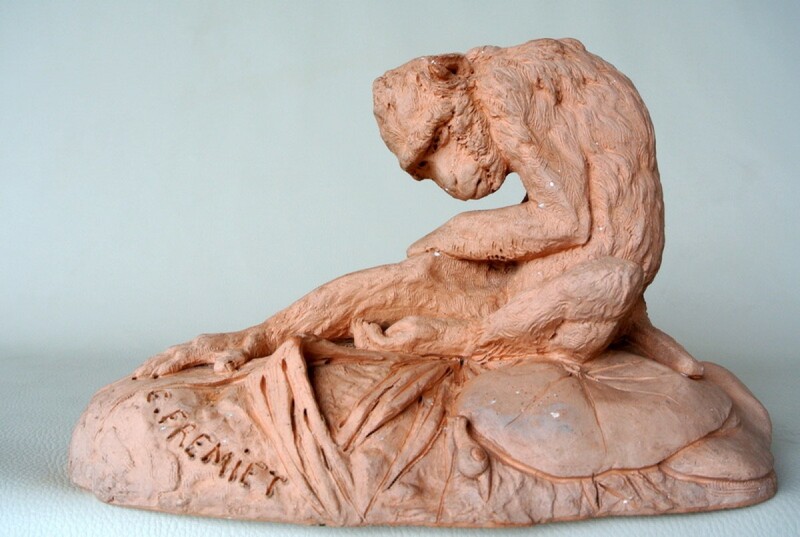 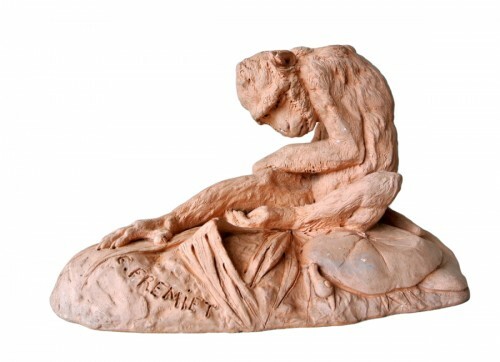 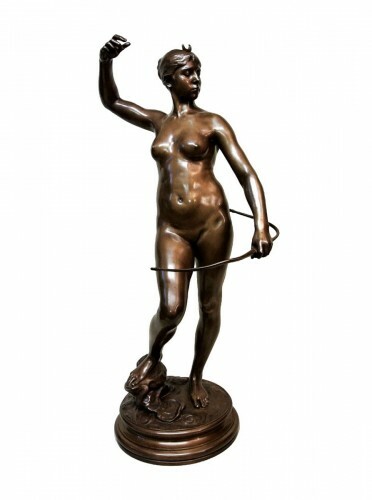 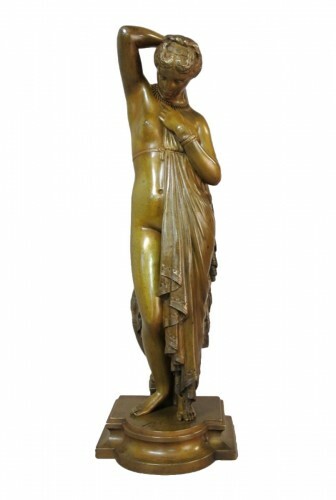 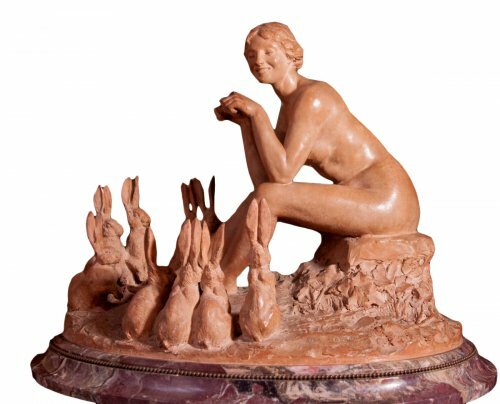 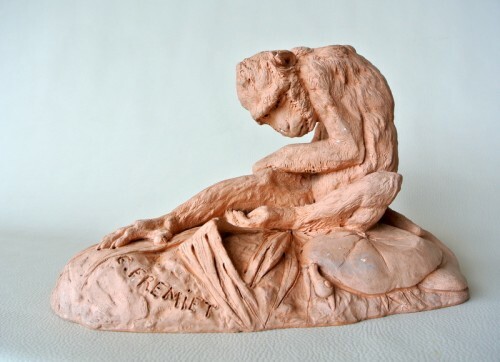 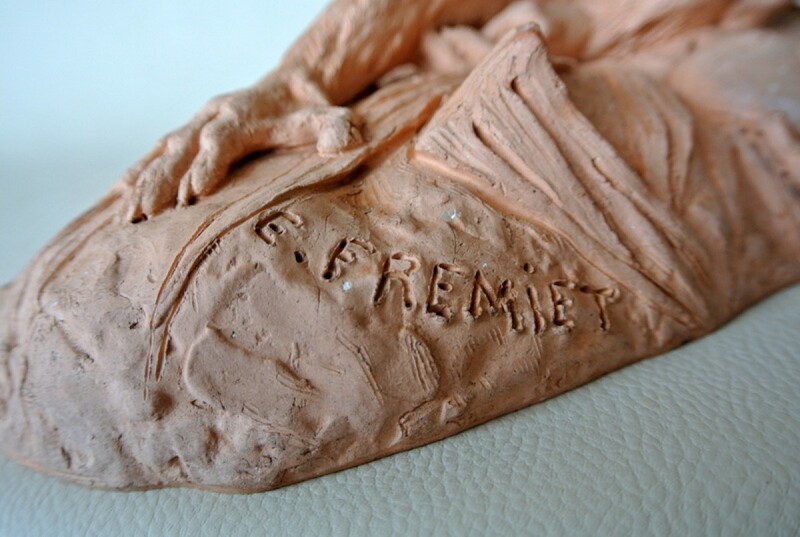 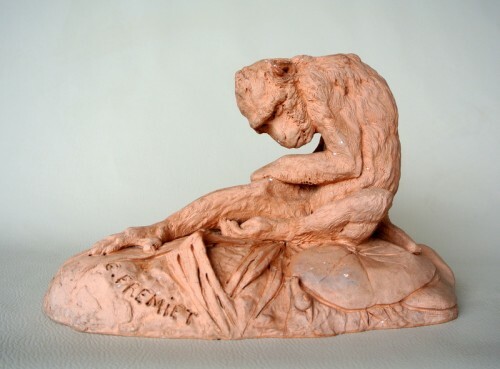 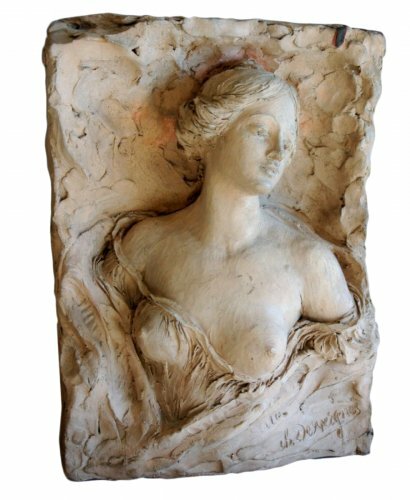 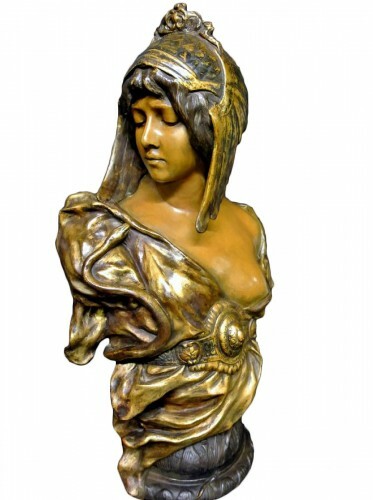 Signed E. FREMIET: Emmanuel shuddert Paris 1824/1910 major sculptor towards the end of the nineteenth century, famous for the representation of great characters in history, but also for his animal subjects and equestrian groups. 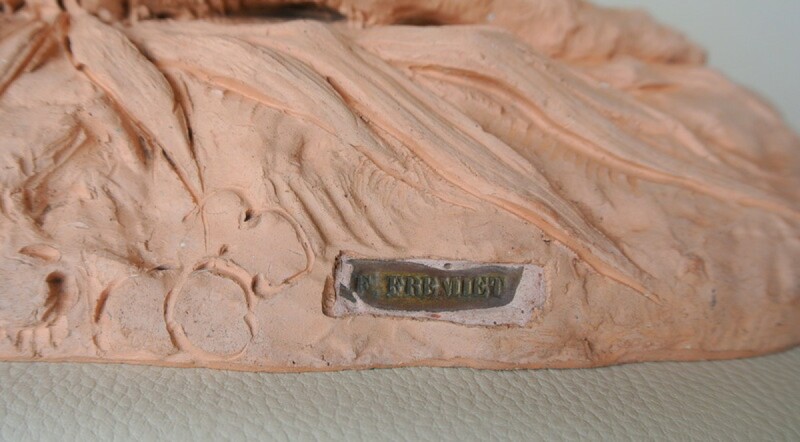 Signature on the base and brass Plate: E. FREMIET encrusted. 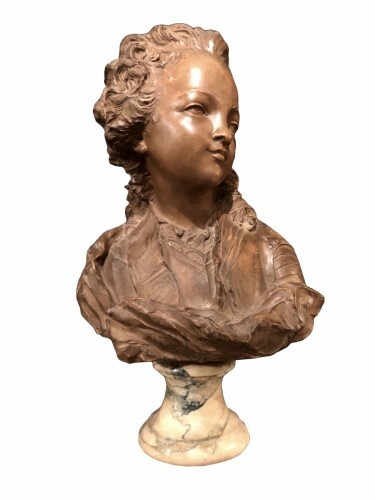 Beautiful general condition according to its seniority, slight lack of patina visible in the photos, no restoration.